We completed a vegetable garden which got Zach got motivated to make a chicken coop. Last time we had chickens we started with an Omlet Eglu Coop and two pullets and this time we decided to start with babies and a custom coop. 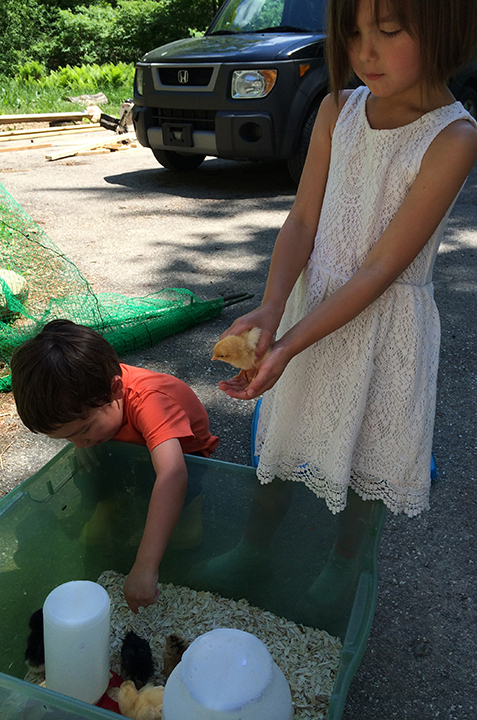 We picked up half a dozen 4 day old chicks on Memorial Day. 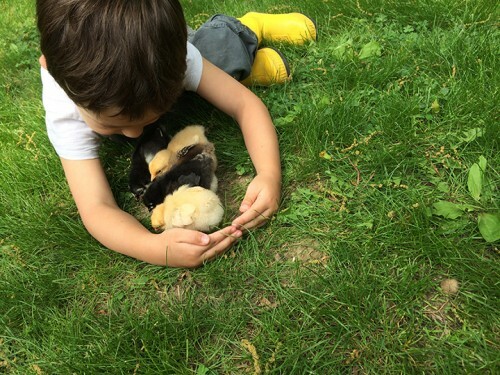 The kids are very excited about the new “cuties” and avoiding loving the chicks to death has been a great exercise in restraint.